This is the 2nd tutorial on making/ finishing the gauntlet portion of the Batman gloves. 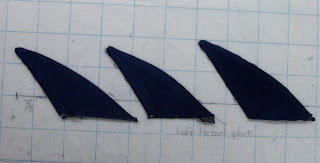 The 1st tutorial is on making the perfect fins. You know, now that I think about it, this project might explain the blue post, then again maybe not…. Let’s proceed shall we? To begin with you need to determine the length of your gauntlet. Chuck wanted his to end 10″ from the leather palm. With chalk I marked this spot 1/2″ in from the side seam(where the fins are inserted) and then the 10″. 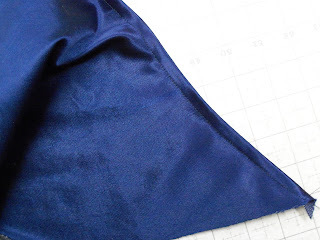 This left about a 1″ seam allowance from the top edge, which I continued to mark around to my other side seam. The top edge of the original glove is finished with 5/8″ wide twill tape. This tape stabilizes the top of the gauntlet keeping it from stretching. Start the tape just beyond your X mark and pin it just above your top chalk line. Here you can see the entire top edge of the glove pinned. It is important that you pin this as it lays flat on the table. 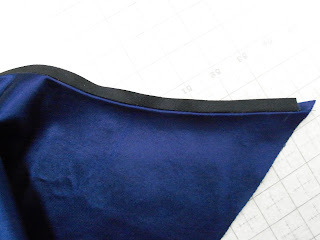 As you are sewing it the Gauntlet fabric will want to stretch on you, which you want the twill tape to prevent. 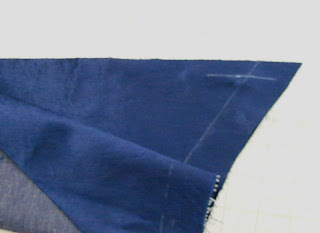 Stitch this about 1/8″ from the top edge of the tape. After its sewn. 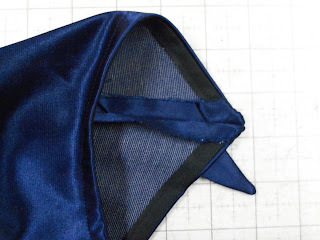 Trim your gauntlet seam allowance to 1/4″ and press the tape towards the seam allowance. Your finished top edge should look like this. The first fin is placed 7/8″ from the top of the gauntlet. 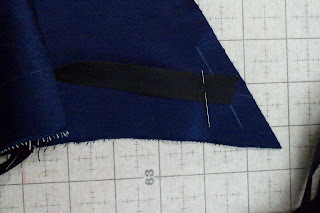 On Chucks I placed the remaining fins 1″ apart along the 1/2″ seam allowance. Your amount in between may be different if your gauntlet length is longer or shorter. 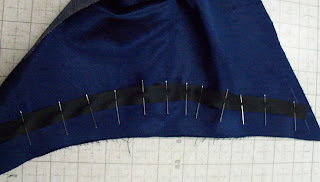 Pin securely, because these will want to move on you as you sew them in due to the uneven thickness. Pretty sweet right? The fins are in and the top of the gauntlet comes to a nice point. But you still need to tame the seam allowance there. 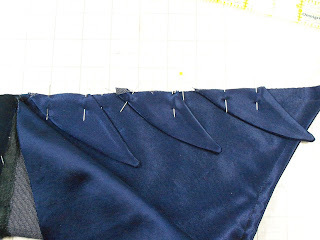 To tame that seam allowance you must trim back it back carefully. 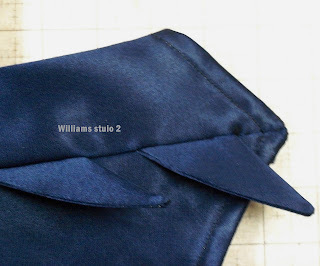 Fold the top edge of your seam allowance under so it matches the top of the gauntlet and hand sew to secure and tame. This is precisely the way the gauntlets were finished on Adams gloves. A pair of which I had the great pleasure of seeing from Mark Hardeman’s collection. I hope this tutorial helps you to realize your dream of having a pair of replica Batman gloves.